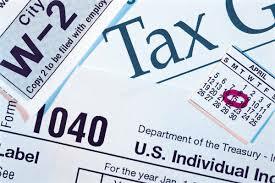 Enhance Your Credentials as a Tax Professional! Enrolled Agent (EA) tax professionals are highly recognized by the industry and consumers based on their high level of expertise and knowledge of tax law and regulations. Like attorneys and certiﬁed public accountants, enrolled agents are unrestricted in which taxpayers they can represent and what types of tax matters they can handle. EAs are also the only tax professional licensed to practice and represent clients in all 50 states. Students who are planning to become an Enrolled Agent (EA) are highly encouraged to complete UCLA Extension’s exam review program in order to fully prepare for the Special Enrollment Examination (SEE). This live, instructor-led review program fully prepares financial professionals who plan to become Enrolled Agents and sit for this very difficult examination. The exam review program provides a comprehensive curriculum covering all three parts of the exam: Individuals; Businesses; and Representation, Practice, & Procedures. Each section also includes ﬁnal review sessions that provide problems from prior exams as well as test-taking strategies. The courses are taught by IRS attorneys and CPAs who have extensive experience in tax preparation and the Internal Revenue Service. New Program Begins May 16! Click on course title to review full course descriptions, dates, fees and to enroll. Part 1 covers the basics of assets, filing requirements, gross income, itemized deduction, credits, employee business expenses, casualty losses, alternative minimum tax deductions from AGI, sale of assets, individual retirement accounts, retirement plans for small businesses, estate tax, and gift tax. Part 2 covers accounting methods, basis and depreciation, limited versus general partnerships, sole proprietorships, business expenses, K-1 reporting, CCorporations, S Corporations, decedent, estate, and trust income taxation, and exempt organizations. Part 3 covers practice before the IRS, income tax preparers and penalties, representation, collection procedures, examination of returns, and the appeals process. Participants review key exam topics and learn helpful test-taking strategies, all while interacting with instructors and peers who keep students on track to meet their goals. Each course section includes final review sessions that provide test questions from prior exams. Discounted course fees are offered to students officially enrolled in UCLA Extension’s Certificate in Taxation and to companies sending more than three employees to the program. Individual parts may be repeated once for 50% of the fee by participants who have attended at least 80% of the class hours. Class lectures are supplemented with Gleim Publications study materials which must be purchased separately by students. The text, EA Review, Parts 1-3, Irvin N. Gleim and James R. Haselback, Gleim Publications, can be purchased at a discounted price after enrollment into the review program. Purchasing instructions are sent to students after enrollment.